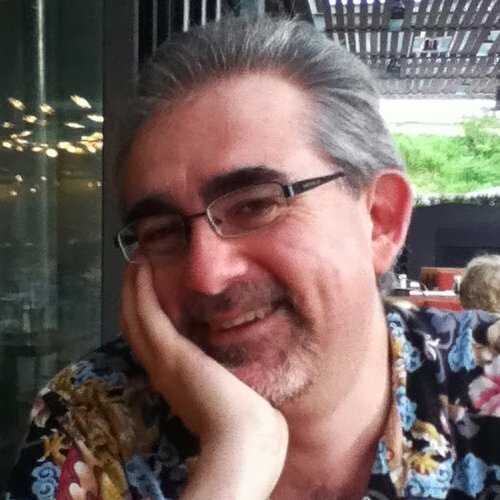 The first time I noticed the name Robin D. Laws was in the pages of Alarums and Excursions, a roleplaying newsletter in which his contributions helped sustain the high signal-to-noise ratio that we so seldom enjoy in the post-Internet age. Later I became a fan of his innovative game design, including Feng Shui, Over the Edge, and Rune. Around that time, I managed to entice him to contribute to Dragon Magazine. Robin always seems to be working on a new project, each of which somehow changes the way we play roleplaying games. For instance, after Hamlet’s Hit Points, his analysis of dramatic structure for gamers, he turned his theories into mechanics with the DramaSystem-driven Hillfolk. What made it even more interesting was that he then invited dozens of contributors—including luminaries like John Rogers of Leverage fame and sub-luminaries like me—to write “series pitches,” providing a wide variety of setting options. Robin is also a fiction author (Pierced Heart, Blood of the City), anthologist (Shotguns v. Cthulhu, The Lion and the Aardvark), and cartoonist (The Birds). He’s a regular attendee of the Toronto International Film Festival, and his annual reviews shape my must-find list every year. Sometimes I think he exists to make all the rest of us look lazy and narrow. Most recently, Robin has turned his psychic powers to a new edition of Feng Shui while maintaining his regular podcast, Ken and Robin Talk About Stuff, and no doubt working on a dozen other secret projects in his underground lair beneath Lake Ontario. 1. Your games often present alternatives to traditional RPG design, sometimes by focusing on player competition (Rune) and sometimes shifting the focus to investigative (Gumshoe) or dramatic structure (Hillfolk). How much are those innovations meant to challenge the way gamers currently play, and how much are they your effort to reach an under-served portion of the audience? From a creative point of view, when I first start thinking about making new game, I do want it to push form forward. From a sales or marketing perspective, that’s just a variation of making sure that you have a distinct selling point. There’s no point making something that does what another game already successfully accomplishes. It’s true that there’s a certain type of push-back you get when you’re doing something new that indicates that you’re on the right track. So this could be seen as challenging the audience even though that isn’t the end goal. Challenge is just a stepping stone on the road to delight. A new style or feature of play has to arise logically and organically from whatever it is that you’re trying to do. The mechanics for Skulduggery came about because I wanted something that structurally mimicked the constant reversals you in Jack Vance’s Dying Earth stories. 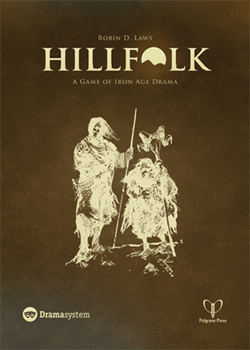 Hillfolk stems from the realization that we haven’t done the dramatic side of storytelling nearly as much as we concentrated on the procedural. It’s less a matter of what niche has not been served, as one part immediate problem-solving and another part looking at stuff the form isn’t doing yet. 2. As a regular attendee of the Toronto International Film Festival, you see plenty of movies the average gamer might never have heard of. Can you recommend five films gamers should seek out for inspiration? Coming soon to a venue near you, look for the trippy mood piece Under the Skin, featuring Scarlett Johannson as an alien succubus, and Only Lovers Left Alive, Jim Jarmusch’s elegiac vampire drama, with Tilda Swinton and Tom Hiddleston as melancholy ancient bloodsuckers. For crazy wuxia thrills, seek out Tsui Hark’s Young Detective Dee: Rise of the Sea Dragon. A grimmer period war drama, Saving General Yang, combines filial devotion with heroic fatalism. After a long dry spell Filipino movies are getting good again. The gritty crime drama On the Job rips a jaw-dropping story from the headlines, in which prisoners get day passes from prison to commit assassinations for the well-connected. 3. You’re reviving one of my favorite games, Feng Shui. How has your creative work since the first edition changed the way you approach the new one? The ways in which gamers think have changed a lot since 1996, in part because of Feng Shui. Now I’m free to go further in fulfilling the implications of the original game. So the choice tree in character creation is going to be way shorter this time. In fact it’s character selection and customization rather than character creation. You have a lot of archetypes to choose from but very few decisions to make after having done that. Enough with the math, grab your guns and swords! Having heroes and bad guys operate on the same set of rules no longer seems to make sense, so I’m going further to do away with PC/GMC symmetry. The original game was an emulative game based on a simulative chassis, and I’m stripping out even more simulative assumptions this time around. I also note that I used a lot more weak “to be” verbs in 1996, and that my paragraphs contained more fat than I’d leave in today. Are you revising the setting as well as the mechanics? What changes can we expect? The setting is updated to the present day; it’s no longer frozen in 1996. We originally went to press with the handover to China looming in Hong Kong. Now that we see how that rolled out, we no longer have to hedge against a massive geopolitical shift in the real world. There’s been a shake-up in the future juncture, now a post-disaster wastelands. Look out for the New Simian Army! And the past juncture has shifted from 69 A.D. to the Tang dynasty, as a nod to the greater historicity of the latest wave of Hong Kong/China co-productions. 4. Game design vs. prose fiction vs. film reviews vs. cartoons vs. podcasting: How have some of these pursuits changed the way you approach the other ones? The challenges and techniques of writing fiction certainly inform the way that I find role-playing rules that follow the way stories are told. Reviewing teaches you not to cut yourself the sort of slack you wouldn’t let other creators get away with. Creative work teaches you to be an understanding critic. Cartooning has shown me that at heart we are all sickly-green birds. 5. All temporal and financial concerns aside, if tomorrow you began writing a new novel, what would you write for an audience of you? A novel about the relationship between a childish father and a mature daughter set against a semiotic apocalypse. Basically literary fiction set in the same world as my Longthought character from The New Hero anthology, but in an earlier period of that continuity. Or if you could produce a work in any other medium, which would you choose and why? If we’re waving magic wands here, my lifelong interest in films suggests that I work on a movie of some kind. Perhaps a film adaptation of William Hope Hodgson’s Boats of the Glen Carrig. Keep up with Robin’s latest schemes at his website. This entry was posted in Games, Movies, Writing and tagged Creative Colleagues by Dave Gross. Bookmark the permalink.